Looking for the Lock - Where are your charities compliance documents? The clock is ticking, and quickly. Once a visitor enters your website, you have less than one minute to showcase your charitable purpose and the impact you have on the community. Not only that, but the average user will read less than a quarter of the text you have on your site. We believe that each of our members has a unique and worthy purpose that helps to impact the lives of everyone in Ireland and beyond. These purposes must be showcased to the general public in a clear and concise way that will in turn be attractive, and not overwhelming, to potential donors, volunteers, and the general public. But, in order to do this, an organisation must also face the facts and obstacles in front of them. In an effort to further the progress of our organisational members towards the Triple Lock, we have recently explored each member’s website for governance documents and transparency information, including public compliance statements and financial reports. From this, we have gathered important information from our members that we believe can help guide them in a clear direction towards a more transparent future. We researched our Organisational Members and targeted the user experience of their websites. The goal was to determine how easy it is for a potential donor or member of the public to navigate to important governance and transparency documents, which included access to the Donor Charter, Annual Reports, Public Compliance Statement, and Feedback and Complaints Procedure, among others. This was completed by entering the website and navigating to the necessary webpages to find those documents. Time spent on website: a stopwatch began when the website was fully loaded and ended when access to the aforementioned documents was found. The timer was paused if excessive load times took place or stopped if the documents could not be found within three minutes. 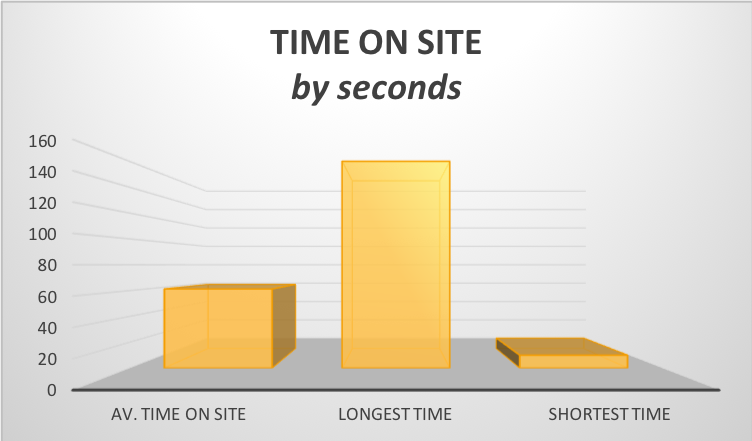 Any site that took more than three minutes was considered an outlier and excluded from the data. 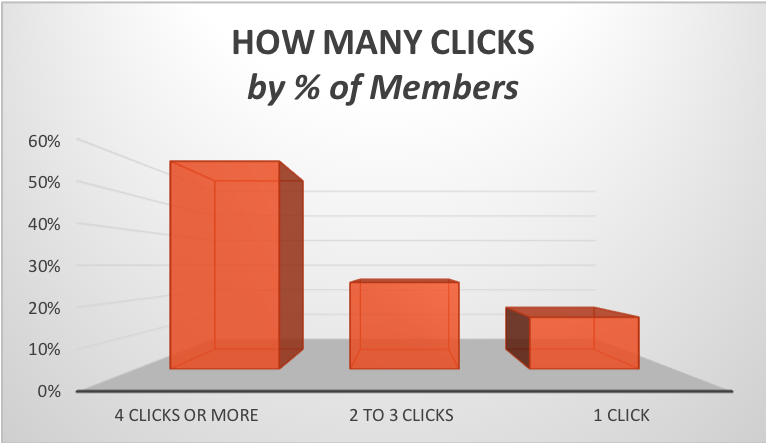 Number of clicks: a tally was kept as to the number of different webpages were visited during the session in order to find access to, not necessarily open, the aforementioned documents. If the stopwatch exceeded three minutes, no further clicks were accounted for. Internet speed: the data could be different if explored with internet of a different bandwidth. Our organisation understands what documents should be available to the donor and know generally where to find it on a charity’s website, whereas members of the public may have a more difficult time and may not know what to search for. The majority of organisations required 4 clicks or more through their website to find transparency and governance documents. The average time spent on an organisation's website was 61 seconds. Only 8% of members fell into the desirable 20 second rule of finding public compliance statements. 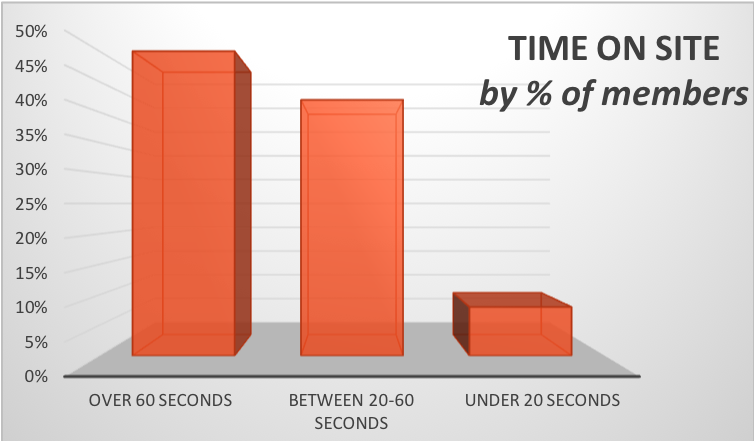 The average user will leave a webpage within 20 seconds, and the average person’s attention span lasts nearly eight seconds. Due to this, it is important to focus on drawing users in and guiding them to the information they want, rather than overwhelming with information. Too much text, as mentioned in the introduction, will not be absorbed by the reader. Not only that, but it can waste the precious few seconds you have to either keep the user on your website, or drive them away. The saying goes, “too much of anything is a bad thing.” This is very much true for website design. Too much text, too many visuals, too many links, all can lead to a stressed user that does not know what to do or where to go next on an organisation’s website. A charity should strive to do three things on their main page: draw a reader in and make it easy to navigate and learn more about them, convey their value proposition, and showcase their compliance with governance standards and financial transparency. This is absolutely critical for Charities, and much information on transparency can be found in our Charities 2037 Report. Not only this, but an organisation could see an increase in their donations by being more transparent. A report by Georgetown Institute for Consumer Research shows that charities can increase donations by being more transparent, specifically with their requests for donations. Another report by Giftcoin shows that consumers would be willing to give on average up to 49% more if a charity was more transparent with their finances. In Ireland specifically, our Charities 2037 report found that over half (54%) feel they do not know what charities do with the money donated (the same proportion that don’t trust donations are used effectively) and the clear majority agree that transparency is not currently satisfactory for the public (74%). Consequently, a vast majority of key stakeholders, including staff, volunteers, and the general public, all think that charities have to be more transparent moving forward. This could be a huge help in stopping the stagnation of trust in the sector, as currently only 7% of those surveyed say they trust charities. To put it simply, the public is begging for transparency, and the sector desperately needs it if trust is to increase. It is a snowball effect: if transparency increases, trust increases. If trust increases, confidence and donations increase. If donations increase, the impact on our community increases. It is a perpetual cycle of good and is why our membership exists—to actively help our members work towards the goal of transparency and good governance. But it isn’t enough to have the information on a charity’s website. It must be organized, easy to access, and easy to read. Our Triple Lock Standard is a great tool that should be actively pursued by all members and displayed once it is achieved. That is only a start. Too many of our members have the information scattered throughout their website, making it too complex for users to find information. Having transparency and governance information in one easy-to-locate section on a charity’s website cuts down the time spent looking for this critical information, buying you more time to showcase your value proposition and increase donations. As an example, create an “Our Transparency” or "Our Governance" section that is easily visible on your website's landing page. Within that section develop easy-to-navigate subsections where a user can find information on financials, transparency, and governance documents. Many of our members have their public compliance information, but it is in too many different sections of their websites. We believe in a simpler, more transparent, and more standardized experience for users. It is time to think about reorganizing and bringing transparency to the forefront, because it is what the public is asking for. One shouldn’t have to ask, “Why is the same information found in so many different places if the charity is trying be more transparent?” It is a slippery slope that can lead to other questions: “Why doesn’t this charity have this information here? Do they not have the information or they trying to hide something?” We believe that a potential donor should be able to find the same information with the same amount of ease, no matter which charity they choose to explore.